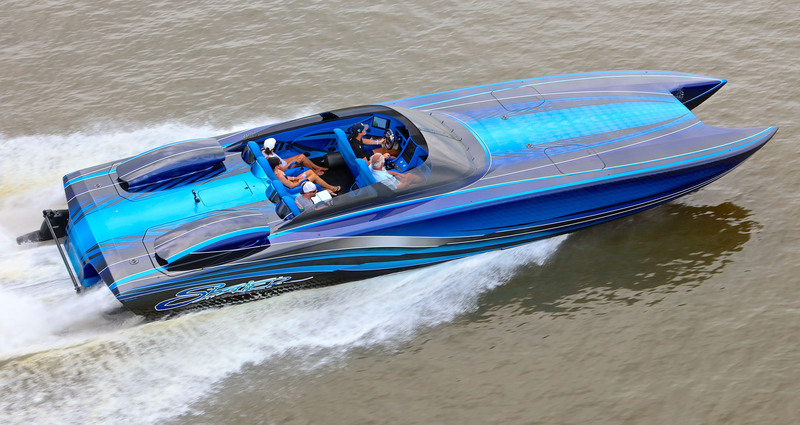 For what’s going on close to a decade now, I’ve written preview stories on the Tickfaw 200 Poker Run hosted by Blood River Landing in Springfield, La., for speedonthewater.com. The last two years, the one-of-a-kind gigantic affair in the Louisiana Bayou has been the subject of my OffshoreOnly.com column—each time with me expressing my disappointment because I wasn’t going to be there (you can read my 2018 and 2017 columns here). 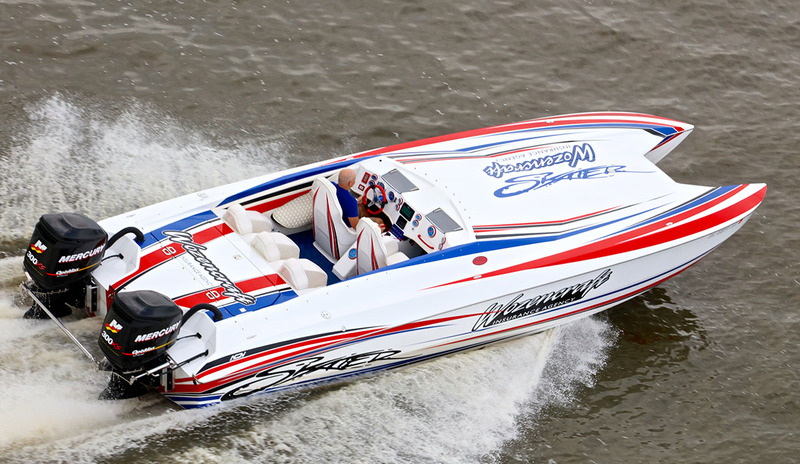 According to Casey Harrison, one of the organizers behind the 21st annual event, they’re upping the ante for boaters who plan to extend the poker run further than ever by offering up a “little something extra”—that’s all he’s willing to share for now—to the first 40 boats that make it to the Mississippi card stop. A recent roll call for images of boats coming to the Tickfaw 200 on the event’s Facebook page turned up all kinds of performance brands as well as unique boats like the Bowfishing Unlimited Yellowfin center console (left) or the Livingston Parish Sheriff boat—thanks for sharing those Garrett Griffin and Patrick Bedwell. Harrison said he’s been pleasantly surprised by the amount of people who have told him they’re going to do the complete now-280-mile run to Shaggy’s Pass Harbor. While I can’t guarantee I’ll make it to every stop this year, I do intend on being one of the people who makes it past the first couple of card stops, well, let’s be real here, party stops. You know who you are—you tell yourself you are going to do the 200-mile run every year and you end up at Prop Stop and Blood River Landing for three days straight. Except for that one year when you made it to Riverside Bar. Joking aside, I’m looking forward to the fun that’s in store and even more so to the people I’m going to get to spend time with. Many of the boaters I’ve written about or associated with at various events around the country over the last five to 10 years are from Louisiana. My friend, Jeff Ford, who owns a pristine RPM 26 Redline, lives there. So do Nate Michel and Michael Pierce—you may remember them as the “bromance” guys from a 2015 column I wrote. That was when Michel and Pierce both owned Outerlimits V-bottoms. Now they own two of the coolest cats you’re going to see at Tickfaw this year. Pierce owns the Skater Powerboats 388 catamaran Pure Platinum and Michel expects to have Cloud IX, his 2006 40-foot MTI that he restored in over-the-top fashion, at the event. Of course it will be great to see Harrison and a couple of my California boating friends who are making the trip again, John Caparell and Devin Wozencraft of Wozencraft Insurance. They love the boating—they wouldn’t travel all that way if they didn’t—but both of them have told me it’s the people, first and foremost, that make Tickfaw a must-attend event. They say the crawfish boils are a close second. I plan on following photographer Pete Boden’s lead in that regard since he’s yet to steer me wrong in the food category. It’ll be good to see Boden again. Hopefully he remembers to bring the camera I left behind at the Miami International Boat Show a few months back. And I look forward to visiting with many of you at the Tickfaw 200 Poker Run in a few weeks. Let’s make it a safe one again this year.